Brand new (at least in this guise!) 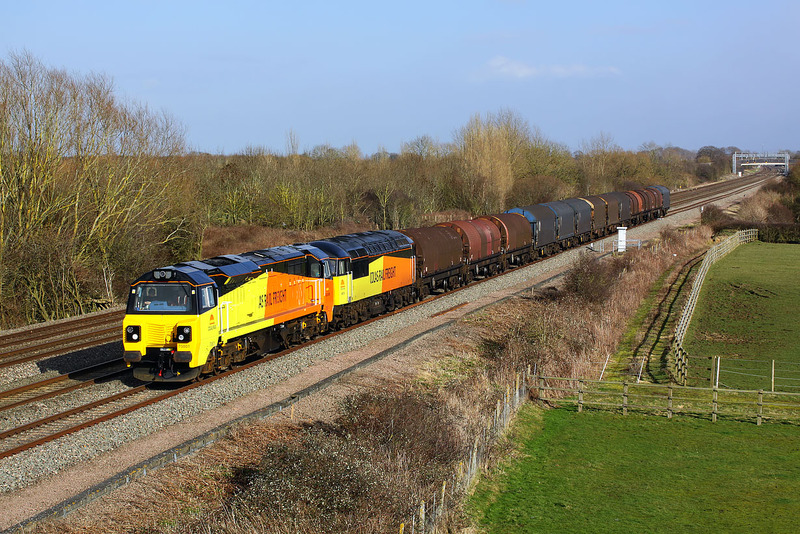 70801 & 56078 slowly run along the down relief line at Circourt Bridge, Denchworth on 26 February 2014 with the 6V62 11:00 Tilbury Riverside to Llanwern steel empties. I suppose it's newsworthy, but I would still have preferred to have had the Grid on the front!